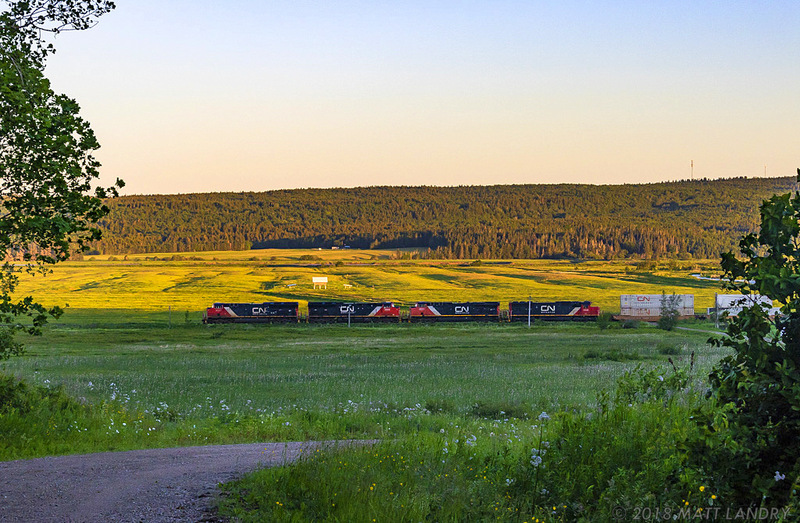 Railpictures.ca - Matt Landry Photo: The sun is slowly starting to make it’s way up over the horizon, as stack train Q120 rumbles it’s way along at Dorchester, New Brunswick. Five minutes later, and this whole scene would be lit really nice, but for the time being, this is the result. | Railpictures.ca – Canadian Railway Photography – photographie ferroviaire Canadienne. Caption: The sun is slowly starting to make it's way up over the horizon, as stack train Q120 rumbles it's way along at Dorchester, New Brunswick. Five minutes later, and this whole scene would be lit really nice, but for the time being, this is the result.